Wondrous, exquisite and impeccable are the three perfect adjectives to define the list of the Seven Wonders of the World. In the year 2007, more than 100 million people voted for the seven wonders of the world to be decided via internet and telephone voting’s. This is the time when the New Seven Wonders Of The World was announced in the year 2007. 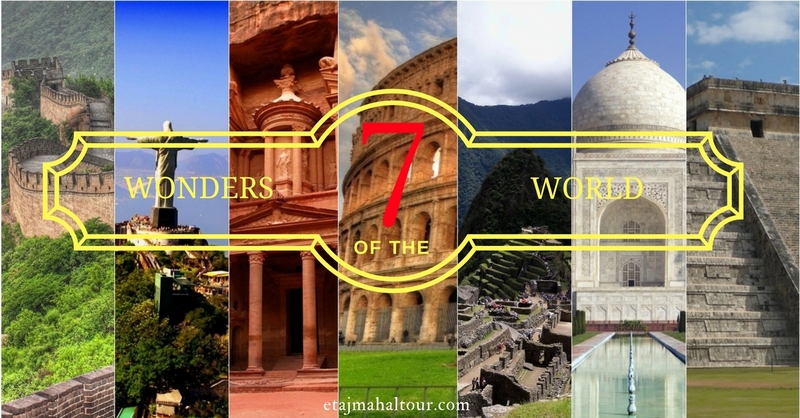 New Seven Wonders of the World (from the year 2000 to 2007) was a grand campaign initiated in the year 2000 for choosing the wonders of the world that was a campaign of selection of the best 7 from the existing 200 monuments in the world. This grand poll was led by the Canadian – Swiss Bernard Weber and was organized by the ‘New7Wonders foundation’ situated in Zurich and Switzerland, the winners were declared on the 7th of July 2007 in Lisbon. The list includes 7 monuments of the world from various countries across the globe whose beauty and gorgeousness could not be defined by any living being. All the seven wonders of the world are precious gems that hold the heritage and cultural importance and is not been ranked by the foundation to position the monuments in any kind of hierarchy. The Taj Mahal, is Urdu word means the Crown of the Palace. It is a milky – white marble tomb on the southern bank of the holy river Yamuna in the Indian city of Agra, Uttar Pradesh. Its construction was started in the year 1632 by the Mughal Emperor Shah Jahan who ruled from 1628 to 1658, to make the tomb of his loved wife, ‘Begum Mumtaz Mahal’. The tomb is the centerpiece of about 17 hectare that is 42 acres, which includes a Holy mosque and a grand guest house and is bounded by beautiful gardens from three sides. It was in 1643 when the main construction of the tomb was completed but it took 10 more years to complete the structure of the garden tomb to look like what it is today with all the carvings and sculptures on its wall. The Taj Mahal complex was fully completed in the year 1653 at a cost estimated to that time around 32 million Indian rupees, which according to the price of 2015 census would be 52.8 billion Indian rupees. 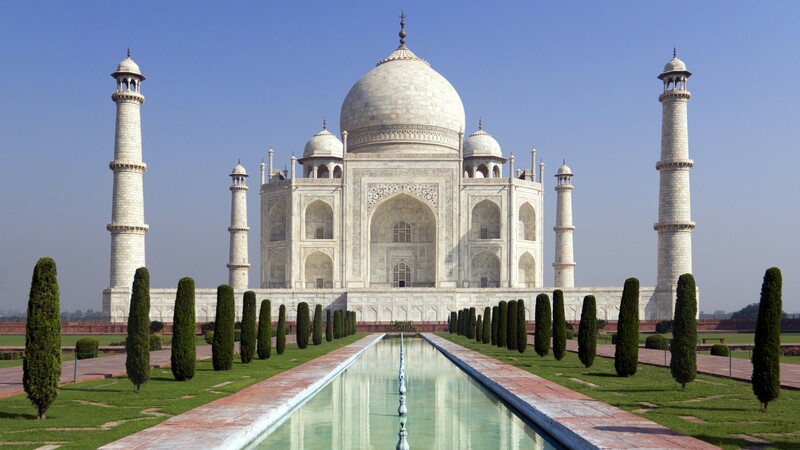 The construction of this beauty in white was a work of seat and blood of about 20, 000 artisans and laborers. Shah Jahan the great king chooses the architect of Taj Mahal to be his friend whose name was Ustad Ahmad Lahori. The Taj Mahal now enjoys the title of the UNESCO World Heritage Site since 1983 for being the jewel of the Muslim architecture in India and is an absolute admired structure across the world. Also knows as the symbol of love, this place in India was recognized as the new Seven Wonders of the World after the voting’s in the year 2007. It enjoys a visit of more than 7 to 8 million people a year who fall in love with its mesmerizing beauty and grandeur. 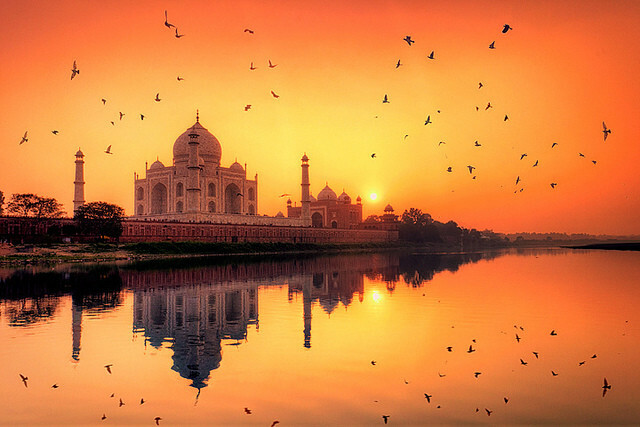 So plan a perfect tour to this symbol of love, Taj Mahal. 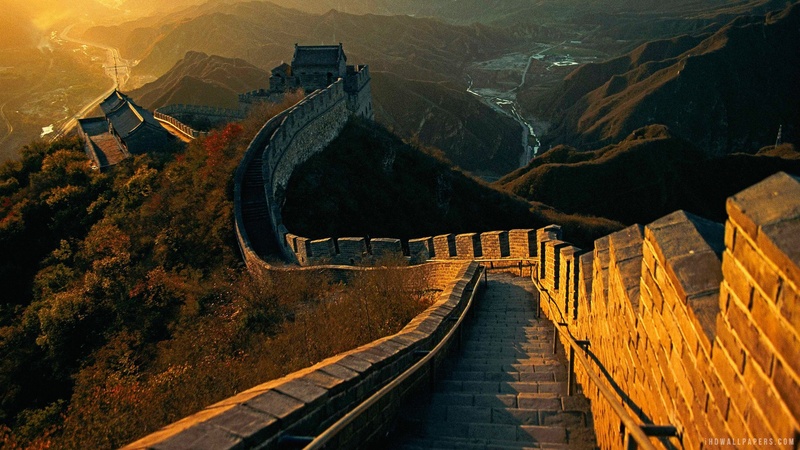 The Great Wall of China is undoubtedly one of the best on the list. If we are talking about a place that is really out of our wondering powers, Great Wall of China will prove itself to be that very location. This wonder of the world stretches to about 21, 19, 618 kilometers and the construction of this huge wall date back to about 2300 years from today. 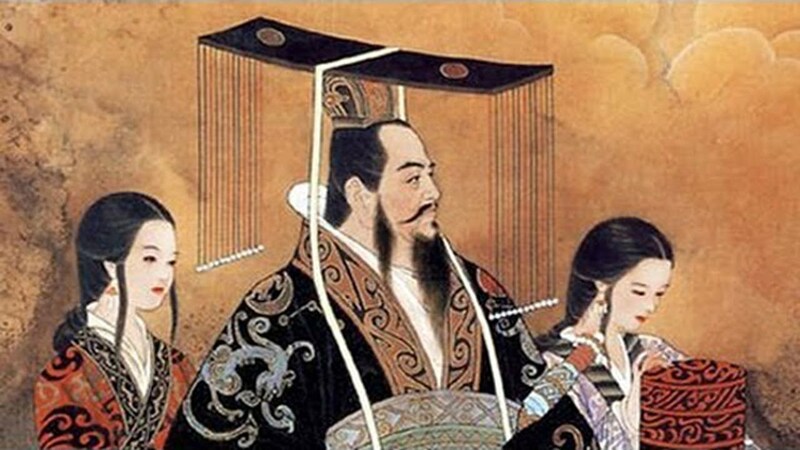 The Great Wall of China is considered to be constructed by the first emperor of Qin, but that is not the reality it was a contribution of various dynasties in China that includes the Qin dynasty (221 to 207 B.C), the Han Dynasty (206 BC TO 220 AD), The Ming dynasty (1368 to 1644), the Qing dynasty (1644 to 1911) and in modern times by Badaling in 1957. 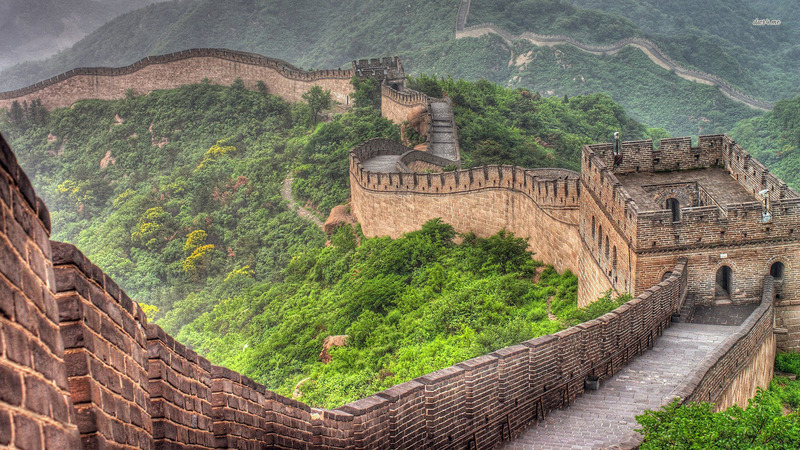 The Great Wall of China was constructed to prevent invasion and protect Silk Road trade. It was a great thought ok the Chinese kings and heads to construct the wall as their land could be saved by other foreign invaders. The Great Wall of China took a great effort in its making. It took blood, sweat, dedication, power and wisdom to withstand this enormous beauty. 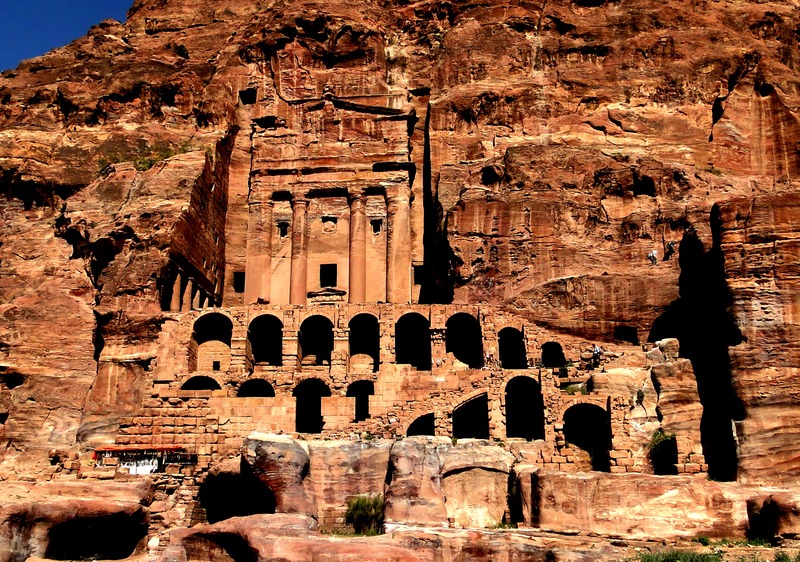 It was built by artisans, architects, soldiers and laborers amalgamated together. The Great Wall of China is a huge building that can be seen from the orbit of the earth but not from the moon as described by the legends Neil Armstrong, Jim Lovell and Jim Irwin. The world largest man – made structure is visited daily by more than 70 thousand travelers from across the world. 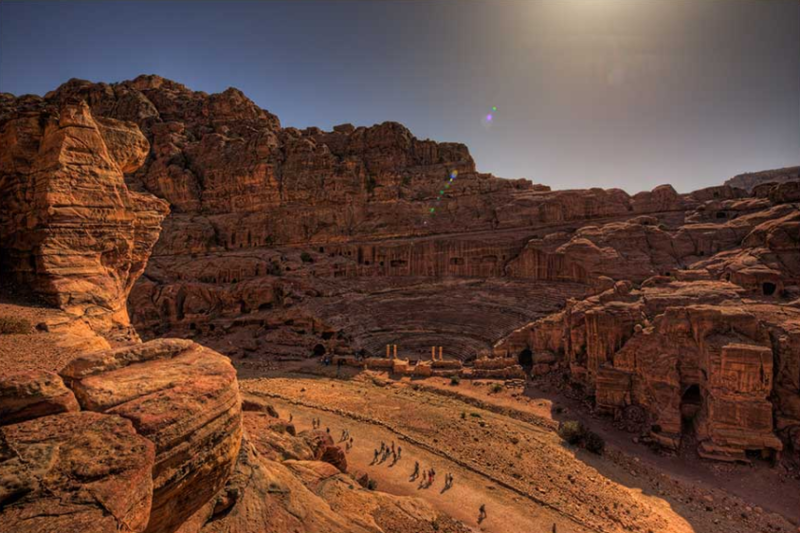 Painted beautifully in vibrant shades of red, white, pink, and sandstone cliff sculpted with faces, the prehistoric Jordanian city of beautiful Petra was ‘lost’ to the modern world since more than hundred years. 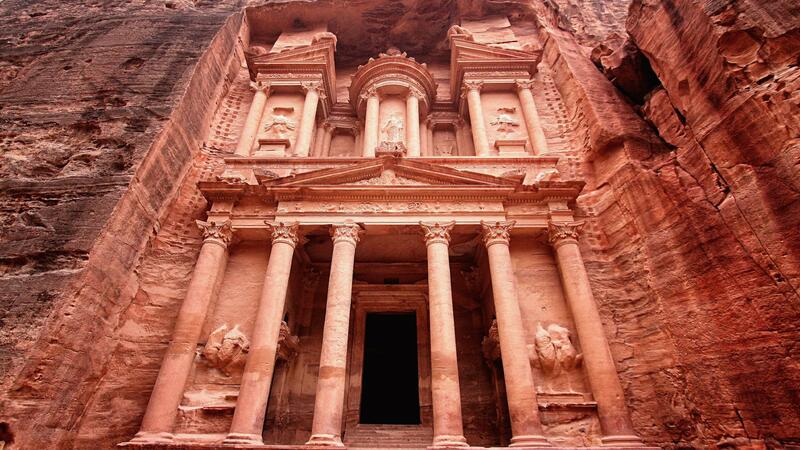 Situated amid the rugged and rough desert cliffs and huge mountains is what is now in the south – western corner of the popular Hashemite Kingdom of Jordan, This place Petra was once a prosperous trading ground and even the capital of the great empire named the ‘Nabataea empire’ that ruled in between 400 B.C. and 106 A.D. This unique city was empty and was leading towards near ruin for uncountable centuries. It was only in the period of the early 1800s that a European traveler disguised himself in Bedouin costume and invaded the mystical locale. Various scenes from a blockbuster Hollywood film Indiana Jones and the Last Crusade were been shot in this amazing location. The place is beautiful and unique beyond words and imagination and it boasts the architectural goodness of yester men. 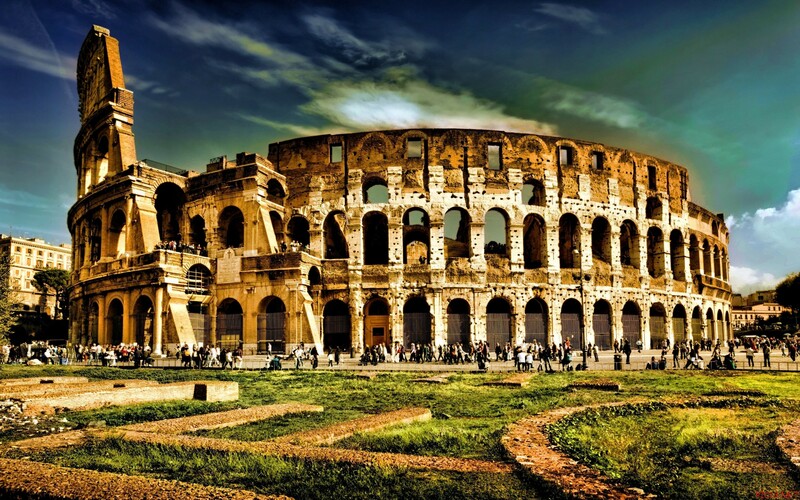 The Colosseum was originally recognized as the Flavian Amphitheatre, it is a large amphitheatre in the town of beautiful Rome. 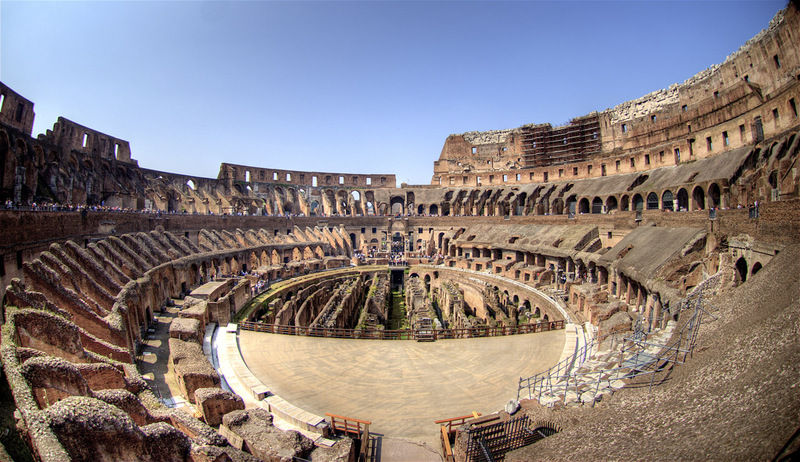 The construction of the great Colosseum was initiated in around 70 – 72 A.D. and was finished in the 80th AD. The emperor Vespasian started its work, and the Emperor Titus concluded it. Emperor Domitian made minor changes to the amazing building in between 81 – 96 AD. 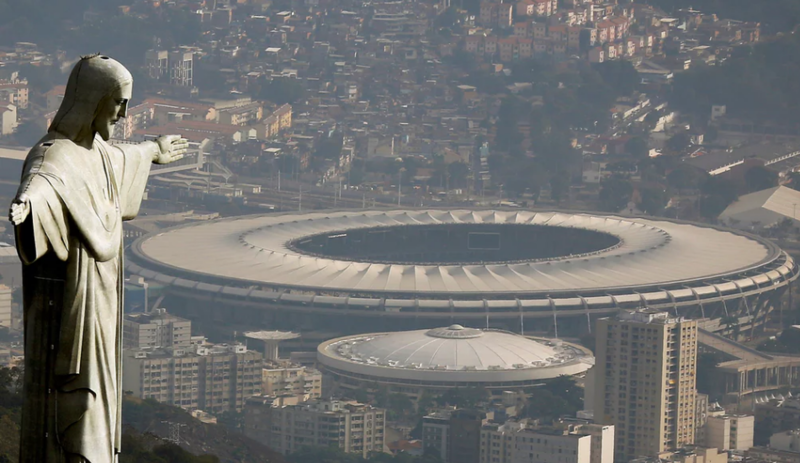 It had the capacity for the seating of 50,000 people. It was more than 156 meters wide and 189 meters in height .It is beyond a point the largest amphitheatre built by the empire of Romans. 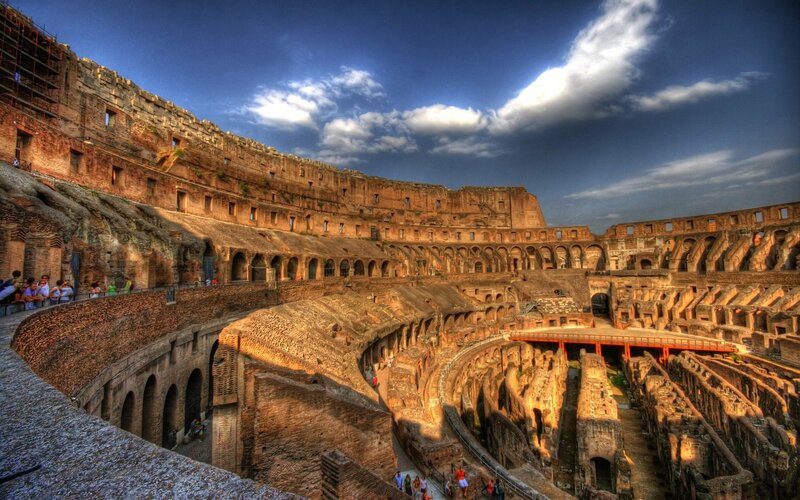 The Colosseum was first called the Flavian Amphitheatre that was derived from a Latin word, the Amphitheatrum Flavium. This was after the emperors Vespasian and emperor Titus who had their family name of Flavius given to this Amphitheatre. It was used for showcasing the concerts, and various other shows like the animal hunts, where the animals would hunt and eat the prisoners; many a times it was loaded with water to fight sea wars and showcase it to the public. The people living in Rome could go to the Colosseum without free of costs; it was absolutely free for them. At the time of middle age it was not used for shows and consorts but for varied workshops. It is now a complete ruin but its very beauty still attracts the people from across the world hence, this ideal amphitheatre from 8th century is now of the Seven Wonders of the World. 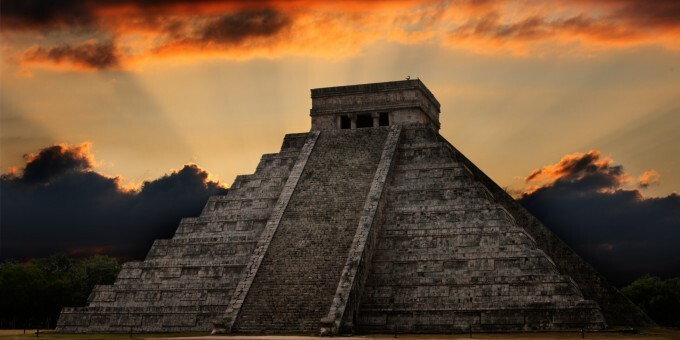 Chichen itza is in Mayan city famous for a huge, pyramid structured temple, which was built by the Maya civilization. It is located on the Yucatan peninsula, about 120 kilometers to the east side of Merida. 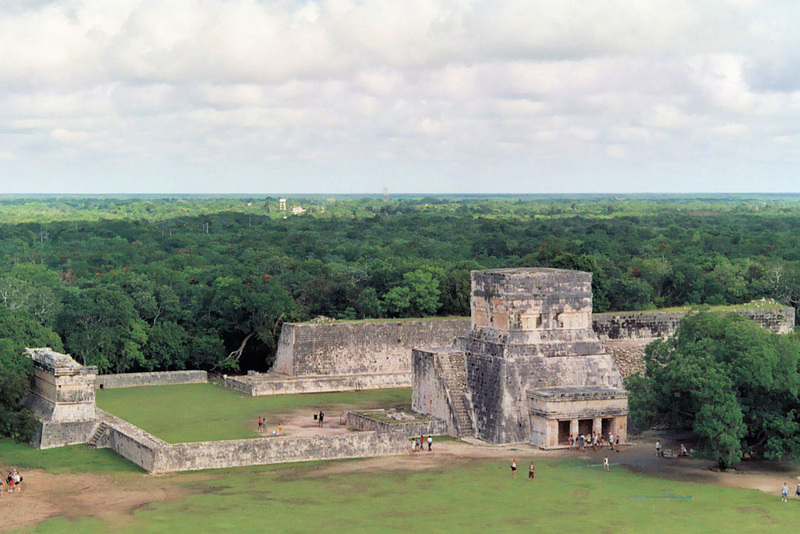 The temple that is known as Castillo is about 1 kilometer in diameter. 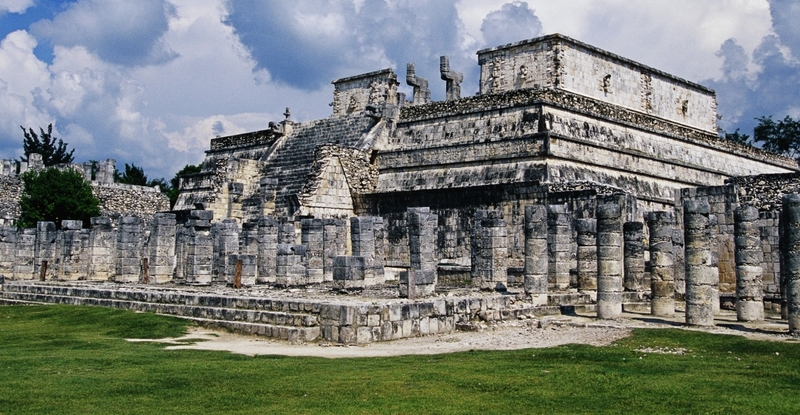 There are various temples and pyramids that are present at the Chichen Itza. Earlier Tourists and visitors were easily able to climb some most of the huge pyramids, but it was a challenging job because the steps were very steep and tiny. Climbing upon the pyramid is no longer permitted to anyone. 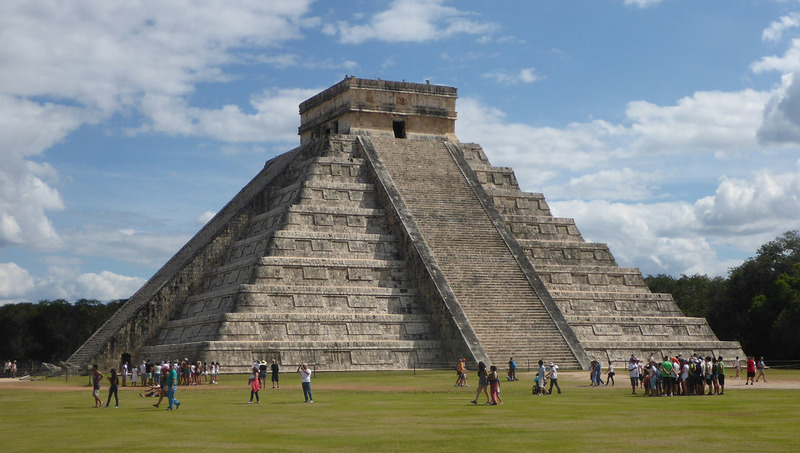 This is the biggest pyramid at the Chichen Itza, and is dedicated to Kukulkan, who was the Plumed Serpent. Every year on that the time of autumn and spring equinox, the sun hits one of the sides of the building making a great show of light as well as shadow that looks like a shadow of snake on the steps of pyramid. Numbers of columns surround a giant temple structure with amazing carvings. There are square columns that once upon a time held the roof of the temple upwards. These structures are carved and sculpted on all the four sides with the figures of great warriors who are wearing feathers. This is one of the largest recognized ancient fields for sports in the Central America, at the 545 feet in length and approximately 225 feet in its width. Each and every end has a visibly raised temple area. The varied sounds that come from the ball court are unbeatable, if you whisper at one end you can hear it on the other end of the premises. 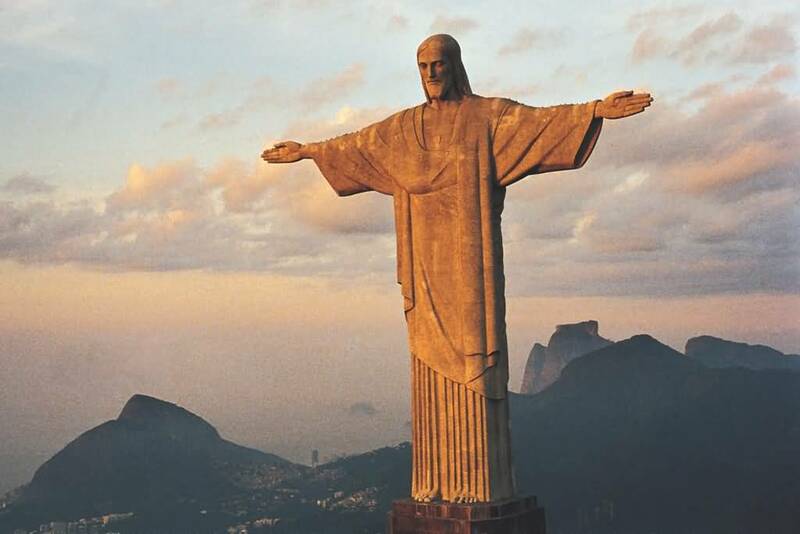 Christ the Redeemer is an amazing and giant statue of Lord Jesus Christ created by a French sculptor named Paul Landowski and was constructed by the Brazilian engineer Heitor Da Silva Costa, it was constructed in the collaboration with French engineer named, Albert Caquot. A Romanian sculptor designed the face of the good Lord. It was constructed in between the year 1922 and 1931; the statue is 30 meters that is 98 feet tall, that is excluding its 8 meter (26 ft) pedestrian area. The arms of the Christ stretch to 28 meters that is 92 feet wide. The statue of the great Lord weighs around 635 metric tons that is almost 625 long and 700 short tons; the giant statue is situated at the peak as high as 700 meter. 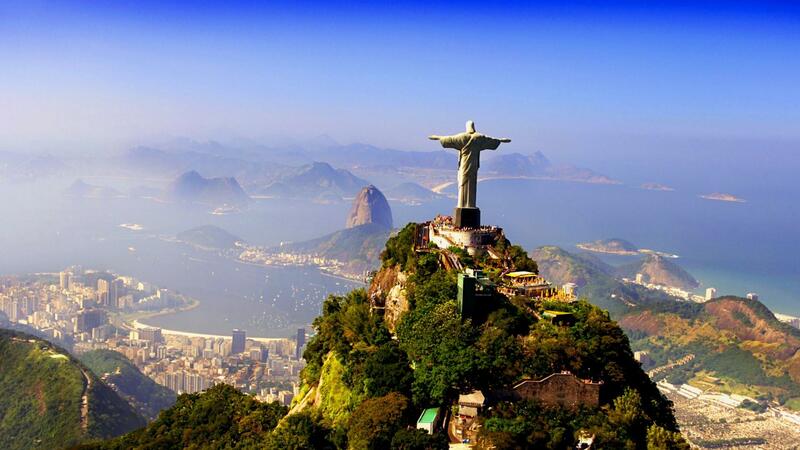 This sky high statute of the crucified god is a great symbol of the Christianity across the globe; the statue has now proved itself to be a cultural as well as heritage icon of both ‘Rio de Janeiro’ and Brazil, the place was later in the year 2007 considered in the list of the 7 new wonders of the world. It is daily visited by the number of pilgrims and visitors from across the globe to pray to the almighty for peace and prosperity. 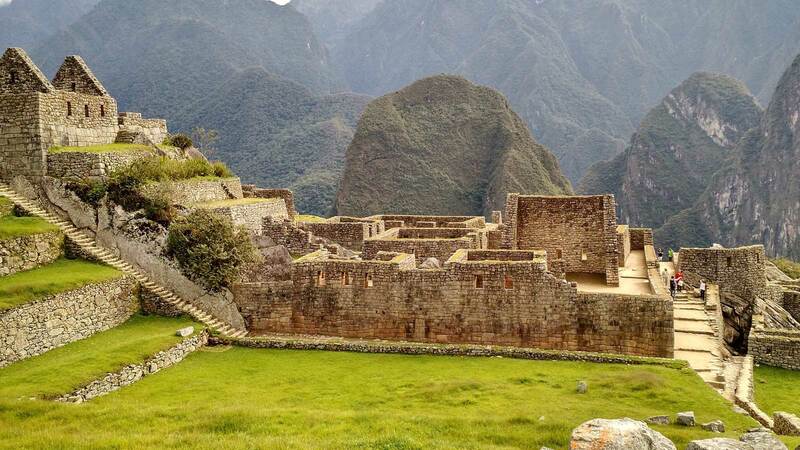 Machu Picchu is a structure from pre- Columbian time in the 15th century Inca site in Peru that is in South America. 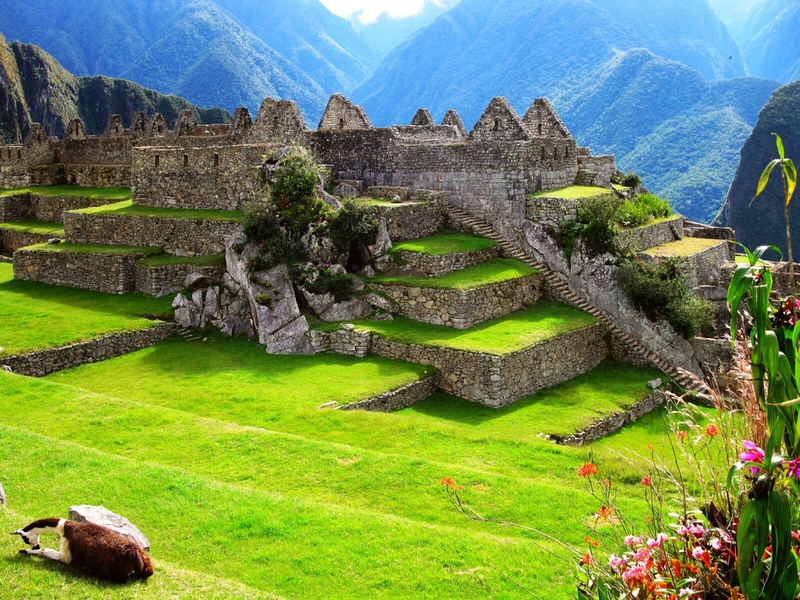 The Incas built this amazing city on a ridge of mountain 2,430 meters above the level of sea. They lived at that place in between 1200 AD and 1450 AD. Other people used to live there before 650 AD. The Incas constructed various houses, green fields and temples, churches by cutting the hill rocks of the mountains so the place was flat. They also built an amazing observatory to have a look at the stars. 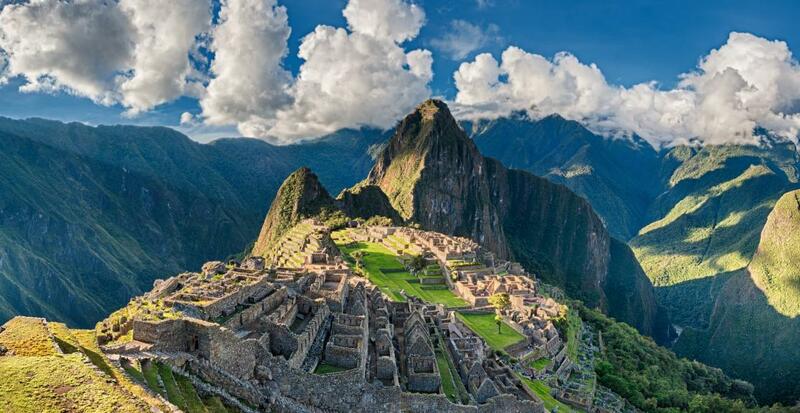 When Peru was invaded by Spanish people the Incas immediately left the present day Machu Picchu. Nobody has an idea as why they did so, but few people make an assumption that it was deceased from Europe that made them do so. The town was left uncompleted, most likely because of the Spanish invasion or the civil war that took place between the ruling rivals who the Inca brothers whose name were Huascar and Atahualpa. Though, the Spanish people could never find the place during the time of their invasion. Machu Picchu was very difficult to reach because it is very high in the mountains. It comprises of one way and also a stone wall to protect it. Most people of the world had no idea that such a place even existed on the Earth until a man from Yale whose name was Hiram Bingham rediscovered the place in the year 1911. The unique Machu Picchu was declared as a ‘Peruvian Historical Sanctuary’ in the year 1981 and a UNESCO world heritage site in the year 1983. Later, in the year 2007, Machu Picchu was voted one of the new Seven Wonders of the World in an internet and telephonic survey took place worldwide. Plan a trip to India with us and visit one of the best looking Seven Wonders of the World and enjoy its truest and purest beauty symbolizing the very serenity and piousness of the feeling of Love.